A large glass jar is cra mmed with chopped white cabbage, carrots and apple, mixed with some salt. As each layer goes in, it’s bashed with a wooden pestle. Finally the jar is full and the vegetables are pushed down under the brine that’s naturally formed, and set aside to pickle over the next few weeks. We’re here to learn the art of making sauerkraut, from fermentation expert and food writer Annie Levy, who’s come over from Llanidloes for the evening. The demonstration over, we sit down to dinner. There are about 25 of us gathered in St Paul’s Methodist Centre enjoying a selection of curries and we’re part of a Pay As You Feel pop-up community café, making new friends over food and developing plans to change the food culture of Aberystwyth. For the Aberystwyth Food Forum, food isn’t about fine dining so much as bringing a community together through food. Some of the vegetables in the meal have been supplied by AberFoodSurplus who collect waste food from local supermarkets. So far, they have set up links between Morrisons and local charities including the Wallich, the Salvation Army, and the Care Society. They have also provided food for educational events that have aimed to raise awareness about food waste, including one at the university. The group has plans to do much more, so that all the food that supermarkets reject – perfectly good to eat, but needing to be used promptly – goes to a good home. They want to engage with more retailers and charities and have had interest from several other businesses in town. To do this, they are seeking premises to cope with the large volumes of food available, and maintain health and safety standards. The Forum also wants to involve more people in growing food, whether in community gardens, on allotments or at home, and to work with schools, the university, local farms, cafes and others to bring people together over healthy food that invigorates the local economy and builds social links. You can find us on Facebook at https://www.facebook.com/groups/aberfoodforum and on Twitter. 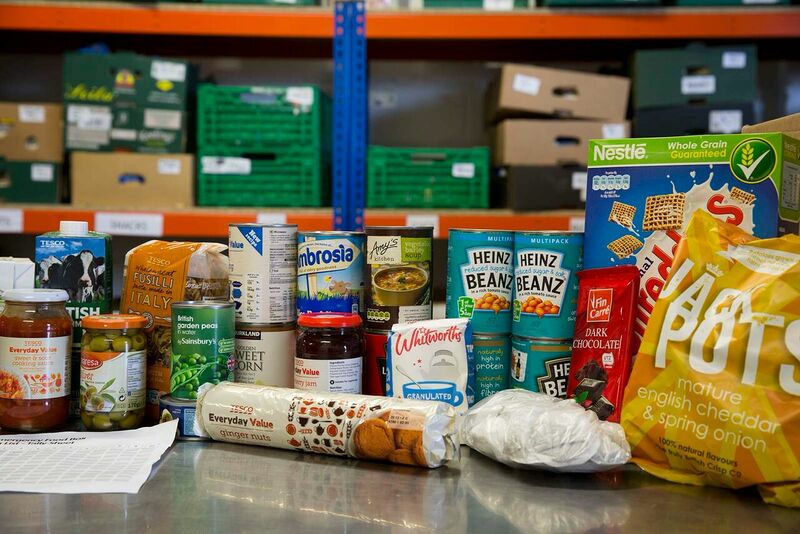 According to research at Bangor University, the number of food banks in Wales increased from 16 in 1998 to 157 in July 2015, apparently as a result of welfare reform and austerity policies. For a generation accustomed to the notion that starvation is something that happens in places like Africa, it is hard to believe that people in this country are going to bed hungry, so perhaps it is not surprising that food poverty generates an emotional response and a refusal to believe it even exists. There was an uneasy silence around the room. Her dismissive attitude was painful to those of us who have heard some of the stories of poverty in modern Britain, as the all-party report Feeding Britain made clear. We didn’t want to leave her assertion unchallenged, but how to respond respectfully? We didn’t find a way at the time, and we moved rather swiftly on, but I think her point deserves proper consideration. I think she was speaking up for values and skills which have been lost. In the 1930s – or perhaps in her idealized version of it, it doesn’t matter – Britain was still a relatively traditional society with a much closer link to food production than we have today. Food took up a high proportion of people’s income, and so you didn’t waste it. You kept the bones from your chicken (which you hardly ever bought anyway, because it was so expensive) and made soup. You bought actual potatoes and boiled them, and fried them the next day. I think she was speaking up for thrift and resourcefulness, for a world in which food is valued and shared, keeping families and communities together, and she was regretting the rise of consumerism and the fragmentation of our society that has accompanied it: the TV dinner, the ready meal, the over-packaged buy-one-get-one-free baubles that we are sold instead of nourishment. Who could disagree with that? There is of course something wrong when people choose consumer goods over nourishing food, in the obvious sense that good nutrition will make you happier for longer than a flatscreen TV will. And basic cookery skills could help many to improve their diets. The trouble with her remark I think was not that she was wrong in her starting point, but that she didn’t take her argument nearly far enough. She was content to pass the blame on to the nearest convenient suspect and leave it there. Instead of shouting her down, maybe we could have honoured the values that she was speaking up for and explored them further. We could have agreed that we waste too much food nowadays, with an estimated 30-50% of all the food that is grown being thrown away – whether left in the fields, or discarded by the supermarket, or left in the backs of our fridges to go off. We could have agreed that growing your food and cooking from scratch is a great way to eat healthily and lamented that so many people have not had these experiences and have only ever known processed food. We might also have agreed that as a society we have become ensnared in consumerism. We are likely to find our sense of belonging not in sitting round the table sharing a meal, but in having a smartphone like our friends, or the right trainers, or the right car. We have let the advertisers tell us that we need a steady supply of shiny new gadgets to make us happy, and to sell us food in the basis of its attractiveness, convenience and addictiveness, not its nutritional quality. We could have agreed that food is in fact essential to life, and that it deserves a higher priority. We might have found more examples of this: the rushed lunch hour in schools and offices, the children who don’t know that milk comes from a cow, the scandals of horsemeat and BSE, the pesticide scares, childhood obesity, the high levels of sugar and salt in processed food, the bankrupting of dairy farmers and the fate of the battery chicken. There wasn’t time to explore all this in the meeting but I think if we had, we would have seen that our whole society is out of alignment. We have put economic growth, status and immediate gratification ahead of feeding ourselves properly, and it is inevitably the poorest who are going to be affected most, simply because they always are. Maybe they don’t have cooking facilities at home, maybe they can’t buy fresh fruit and vegetables in the local shops, maybe they’re disabled or very old, or maybe they have such pressures on them that healthy eating, however important, falls down the list. And then we would have got to the nub of the matter: singling out the poorest in our society for criticism of their eating habits not only misses the point but unfairly adds insult to injury, blaming the weakest and letting ourselves off the hook. Ensuring that everyone has enough to eat is one of the most basic civic duties there is, and it falls to each of us to ask ourselves what we can do to create a healthier society, where everyone has a place at the table, and food is grown in a way that doesn’t deplete our soils and warm up our climate. I think now my answer would be: “You have raised a very important point, although I see it differently from you. There is indeed something wrong when people rely on emergency food aid. It shouldn’t happen in a rich country such as ours. And I also think that in many ways we had a better attitude to food in the 1930s, and that we have lost a lot of skills and values, and that has caused problems. Food poverty means the poverty of our food system and we are all part of that. Are we ready to see ourselves as citizens and step up to our responsibilities?